Winemaker Ned Morris spent the first part of his life in the Willamette Valley in Oregon and now lives in Walla Walla, WA in a house that’s been in his family since it was built in 1930. Upon graduating with a degree in Marketing from Iona College in 1992, Ned moved to Australia where his real wine education began. From 1995 to 1997 he trained to become a sommelier at Penfold’s McGill Estate in Adelaide, one of the most respected wine education institutions in the world. While studying and training to sit the exams with the Court of Master Sommeliers in 1998, a family emergency brought he and his wife back to Washington. 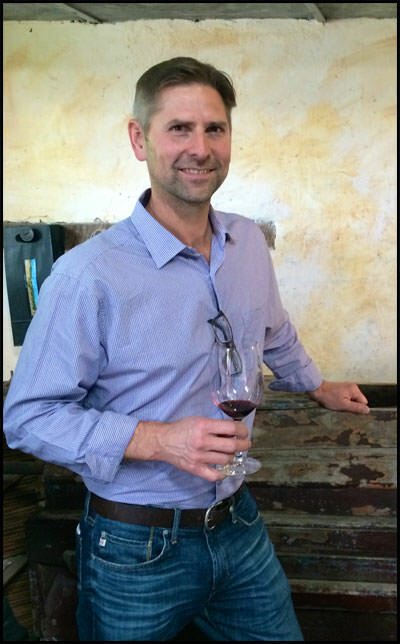 Back home, his passion for wine led him to Oregon State University where, in 2002, he earned a Master’s Degree in Food Chemistry with a concentration on Fermentation Science as well as minors in biochemistry and microbiology. While at OSU Ned worked as a cellar hand to Barney Watson at Tyee, gaining valuable experience with Pinot Noir and some of Oregon’s white grape varietals. He returned to Walla Walla to become an Assistant Winemaker to John Abbott at Abeja. He spent six vintages at Abeja before becoming the Winemaker at àMaurice Cellars. There he produced his own high-end wines and began to establish his unique style of winemaking. Ned gained valuable experience in all facets of large-volume winemaking while working with Double Canyon, Canoe Ridge, and Basel Cellars. Ultimately he wanted to focus on his own style and return to creating wines that are complex, yet balanced, and would serve to bring family and friends together.